I know there are probably a lot of recipes out there that claim to be the best in their class. But seriously, these AIP burgers are the best. 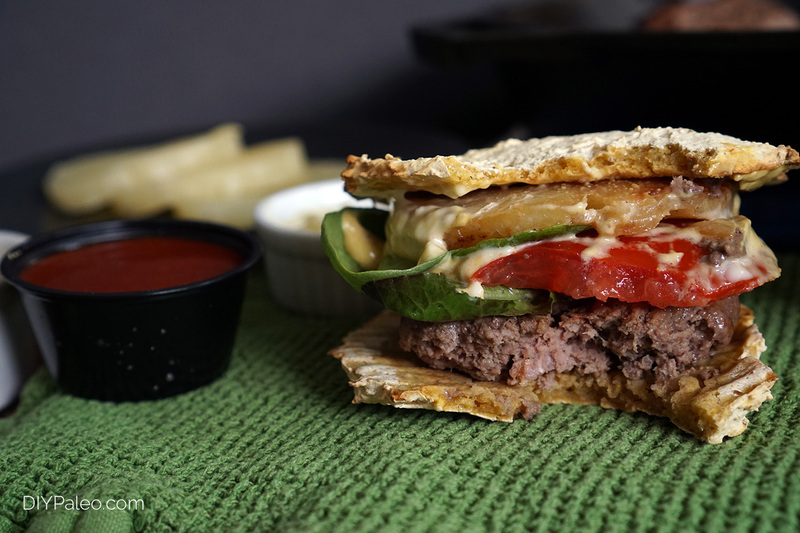 I used to add egg to my burger mix—I guess I heard that was a good idea somewhere along the way. But I’ve since figured out it’s totally unnecessary. All you need for a super-juicy burger is something acidic (lime juice), something a little sweet (coconut aminos), salt and herbs. ‘Das it. Going Paleo has forced me to find great burger toppings without the cheese. Sure, bacon is always an option, but isn’t there more to life than meat-on-meat? By the way, I feel like my last few posts have painted me in an anti-bacon light. I’d just like to make it clear right now that that is no way my intention. I do love bacon. I just think there are lots of other garnishes and flavorings that provide similar salty, fatty and delicious qualities to most dishes. For example, I recently posted a recipe for prosciutto-wrapped pears. This is an idea I derived from bacon-wrapped dates. But the lighter texture of prosciutto and juicy pears worked really well together, and I don’t think the same effect would have been achieved with bacon. I am now a dedicated fan of grilled pineapple, homemade mayo (not AIP, sorry), and dijon mustard on my burger. And maybe some lettuce, but I don’t usually eat the burger with a bun. I’d rather have a salad on the side. If I’m bored with the usual toppings, I change it up with guacamole/plain avocado, mushrooms, or carmelized onions. So there you have it: anyone who tells you burgers are worthless without cheese is lying. Don’t listen to them. This recipe in particular pairs well with almost any topping! Combine all ingredients except bacon fat with your hands. 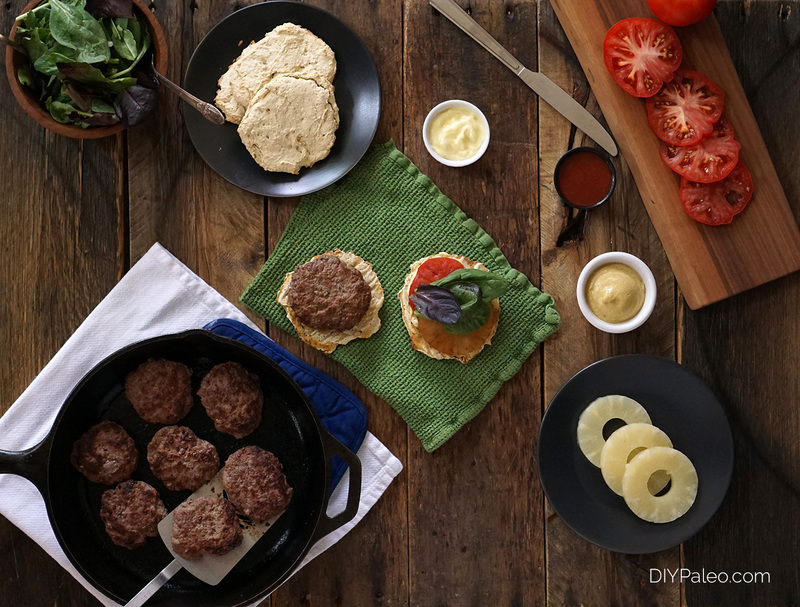 Shape mixture into 4-inch patties. Heat a wide frying pan or cast iron skillet over medium heat with bacon fat. Cook burgers for 5 minutes, then flip and cook for another 3 minutes.